Angie’s List has awarded APEX Construction Management its Super Service Award for the sixth consecutive year. The 2018 award once again honors contractors who have maintained exceptional service ratings and reviews on Angie’s List throughout the year. To be considered for the award, APEX was required to maintain an “A” rating in overall grade, recent grade and review period grade. Winners also must be in good standing with Angie’s List and pass additional screening. APEX President John “JB” Biancini said the Super Service Award recognition is part of a pattern based on his team’s core values. “When we start each APEX remodeling project, we tell the clients that we will give them a scorecard to grade our performance at the end of the job. Then every team member does his or her part to earn an A+ grade. We also use Guild Quality to independently survey our clients after each job to gather feedback and maintain quality control. Receiving the Angie’s List Super Service again illustrates that APEX takes its core values seriously,” Biancini said. 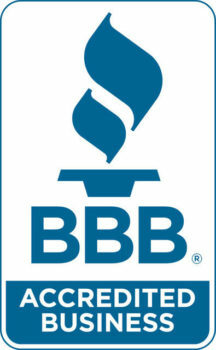 Service company ratings are updated continually on Angie’s List as new, verified consumer reviews are submitted. Companies are graded on an A through F scale in multiple fields ranging from price to professionalism to punctuality. Customers have been rating APEX Construction Management on Angie’s List since 2005. APEX has 42 reviews on Angie’s List. It is “A” rated and Angie’s Certified. To be certified, a company must be an Angie’s member in good standing, pass a biennial criminal background report, receive an A or B reviews grade, have current reviews, attest that its license is up to date and have a verified profile. Biancini thanked APEX clients post taking the time to post online reviews and participate in customer surveys to share their remodeling experience with other homeowners and help APEX maintain high standards. “APEX clients post reviews on Google, Angie’s List, Houzz, the Better Business Bureau and on our own website. Their positive comments help us grow and succeed. We are very grateful for their support,” Biancini said.